This unique landscape is the stuff dreams are made of and our unusual adventure holidays in Antarctica are awe-inspiring. Take a deep breath and cross Drake’s Passage by sailboat or tall ship, savouring every moment of your journey into a land of extremes. 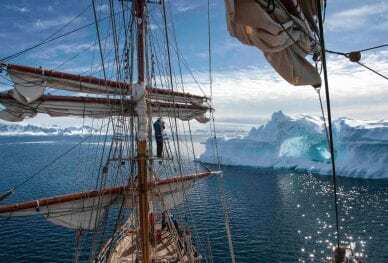 Beneath a summer sun that never sets, say hello to waddles of penguins, play with light on a photography expedition, navigate through giant icebergs, learn about the wildlife, anchor in sublime blue bays, set foot on ancient glaciers and take a swim in icy waters. Antarctica will get under your skin and you will leave exhilarated. Prepare to feel small.